May you one day carry me ho____me. The “it” boy of early-’00s roots-rock, former Whiskeytown leader Ryan Adams has responded to the mountain of hype surrounding him with an arrogance worthy of his idol, mid-’60s Bob Dylan. Accordingly he follows his stripped-down solo debut with a two-disc, fully produced set that finds him grasping for the mantle of alt-country messiah. GOLD picks up where Whiskeytown’s swan song FAITHLESS STREET left off; a step removed from the country-rock hard line but still full of rootsy, organic, Band-like warmth. The up-tempo opening tune “New York, New York” recalls vintage Steve Forbert, while “Answering Bell” sounds like David Gray fronting the aforementioned Band on a rewritten “The Weight.” The epic, acoustic guitar-based ballad “Nobody’s Girl” is one of the more overtly Dylanesque pieces here, and while trying to overshadow Zimmy is a fool’s errand no matter how big your britches, one has to admire Adams for the considerable chutzpah necessary to even take up the task. Whether you believe he’s the Gram Parsons of the 21st century or not, its that undeniable spirit and ambition that lay at the heart of GOLD’s appeal. Recorded at the Sunset Sound Factory, Hollywood, California. 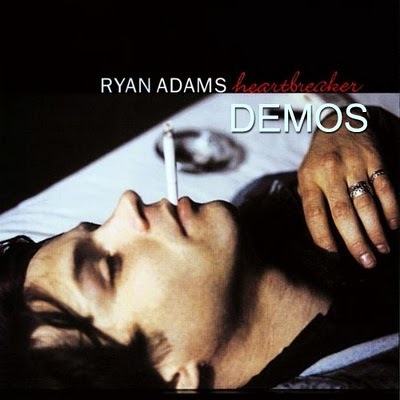 here is a fine live recording from 2001 of ryan adams . this is probably his best work to date with all his classic songs like come pick me up etc most of these songs are taken from his best works from heartbreaker to gold . if your a fan of this fucked up dude then i think you must have this to your collection . if your new to him then its probably the best place to start . sorry its in megaupload but its a huge file .